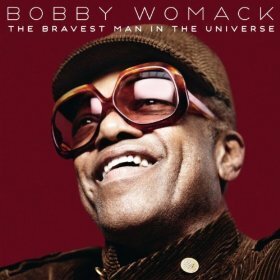 Bobby Womack slipped away from us on Friday June 27 2014. At the time of writing, the cause of the singer-songwriter’s death has not been announced. But it’s no secret that he was a very ill man, as he had problems with cancer, pneumonia and memory loss for some time. (recommended) in 2012. From his early days as a guitarist and writer (for Wilson Pickett, notably), Womack forged his own character with a tough, soul voice and gritty emotional songs. One of his best-known songs is “It’s All Over Now”, which he co-wrote with Shirley Womack. The Rolling Stones heard it on their first US tour and recorded the version that most people know. It is still regularly covered, with versions by Johnny Rivers, Feargal Sharkey, AC/DC, Arno and Nils Lofgren. As a singer, he is remembered mostly for “That’s The Way I Feel About Cha”, “Woman’s Gotta Have It”, “Harry Hippie”, “Across 110th Street” and his 1980s hit “If You Think You’re Lonely Now”. However, with nearly thirty albums to his credit, there are plenty of gems to be found in his repertoire. One of my favourites is far less known, “When the Weekend Comes” from the “Womagic” album.